Kings & Corpses, an upcoming iOS game from developer Danny Perski, combines the classic game of chess with a deathly zombie threat. It’s due to launch on the App Store this Thursday, and from where we stand the title definitely looks interesting. you’ll be doing that by strategically maneuvering your pawns and using them for cannon fodder against the zombies. The levels in Kings & Corpses are randomly generated too, so it’s different each time you play. Gameplay seems to be turn-based, and no other chess pieces make an appearance in the application (resulting in a more refined experience, we’d imagine). 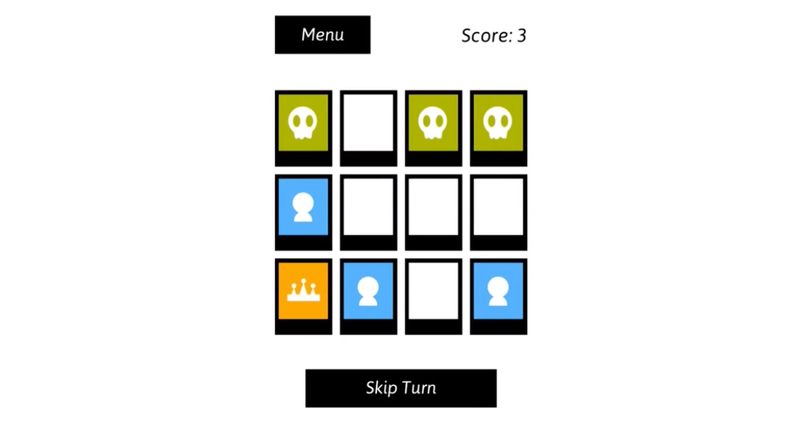 In terms of design, the app situates colored pieces against a white background; it seems to feature its own in-game music, too. Finally, we also heard from TouchArcade that Kings & Corpses was reportedly built “in just a couple of weeks for a class project,” and as such we’re even more impressed with the upcoming title. Kings & Corpses should launch on the App Store this Thursday; we’ll let you know once it’s available to download. In the meantime, see: Apple’s iOS 8 beta 4 enhances dictation, adds live feedback, Get ready to rumble as SNK Playmore brings The King of Fighters ’98 to iOS, and Apple updates and redesigns iTunes Festival app for this year’s London show.